Looking for a cheap flight from Kota Kinabalu to Jakarta (BKI-JKTA)? Flights fares for Kota Kinabalu to Jakarta start at MYR 228.00. Find the best and cheapest flights on this route and other relevant information. Before you book a flight you can use Utiket to find the cheapest flights from Kota Kinabalu to Jakarta for Garuda Indonesia, MasWings, Citilink, Lion Air, AirAsia, Batik Air. All flight data are real-time and accurate. Utiket finds all the cheapest flights from Kota Kinabalu to Jakarta. On average the flight time between Kota Kinabalu and Jakarta is about 1 hr 40 min. Be aware there is a time difference of 1 hours: The time in Jakarta is 1 hour earlier than the time in Kota Kinabalu. 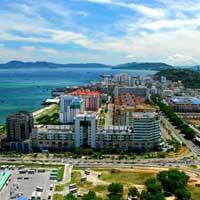 The timezone for Kota Kinabalu is: UTC +08:00. The local time now: 06:44:37. 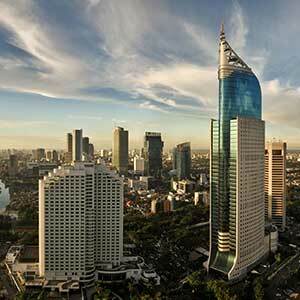 For Jakarta the timezone is: UTC +07:00 and the local time now: 05:44:37. There are 1 airlines flying from Kota Kinabalu to Jakarta. Weekly there are 1 flights between Kota Kinabalu to Jakarta. The earliest flight from Kota Kinabalu to Jakarta is at 06:00. The latest flight is at 06:00. The cheapest price for flight from Kota Kinabalu Jakarta is MYR 228.00.